THERE ARE NO ENTRY FEES! 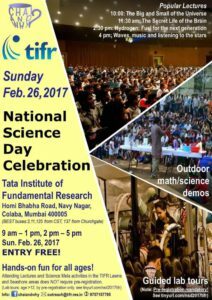 Please do carry a government issued photo ID or school/college photo ID for entry to TIFR. Pre-registration is mandatory for LAB VISITS ONLY.